In order to connect Electric Imp to the internet follow the official Getting started guide. 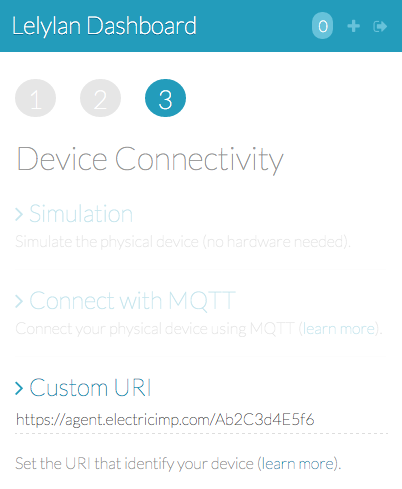 To fully understand this tutorial you need to know the Electric Imp's concepts behind Agent and Device entities. 3) Choose Custom URI as connectivity option. In order to communicate with the physical device you need to connect Lelylan with the Electric Imp agent. 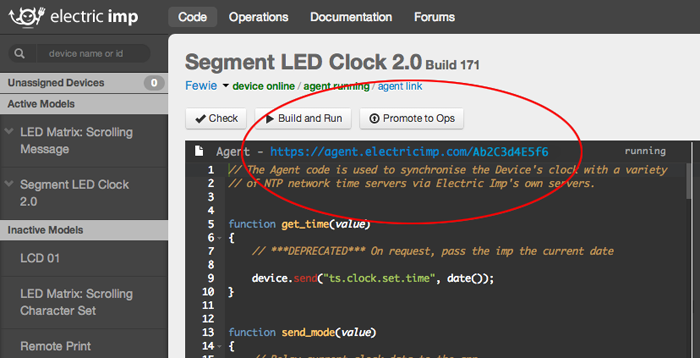 Every agent has a unique url that can be found in your Electric Imp Ide. Copy and paste it into the Custom URI field. 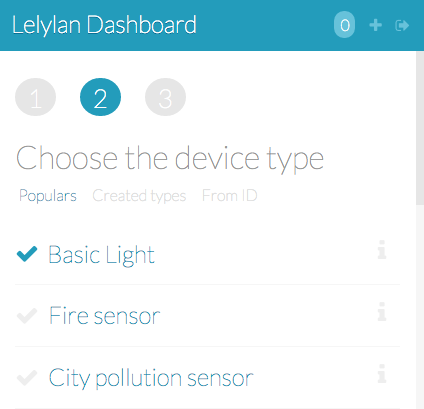 In this way Lelylan will forward all requests coming from the dashboard (or APIs) to the Electric Imp. Once the (virtual) device is defined on Lelylan you need to make it communicate with the Electric Imp. Copy the Electric Imp Agent and Device sketches below and change the <DEVICE-ID> and <DEVICE-SECRET> with your device credentials. To better understand how the Electric Imp sketch works, follows a brief description of what most important sections do. The deviceId and deviceSecret are used to authenticate the physical object (Electric Imp) with Lelylan. 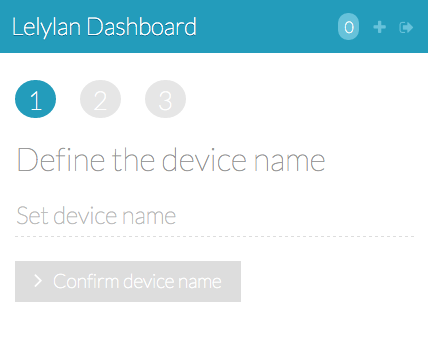 To get the device credentials open the Dashboard, select the desired device, click on settings and copy the Device ID and the Device Secret. 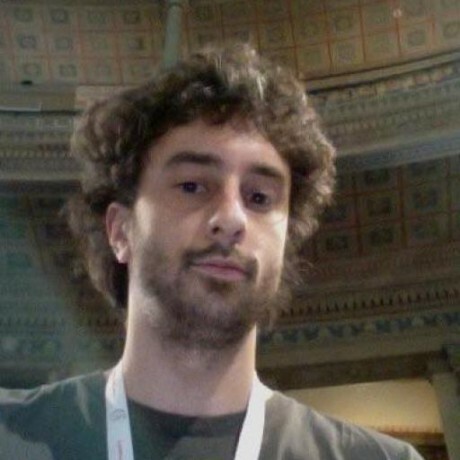 To send the physical updates to Lelylan we defined the function lelylanSet(properties) which defines the Lelylan endpoint and fires the real request. The request function fires the HTTP request to Lelylan. To make it work we first need to define the headers by setting the content type (JSON) and the physical secret. 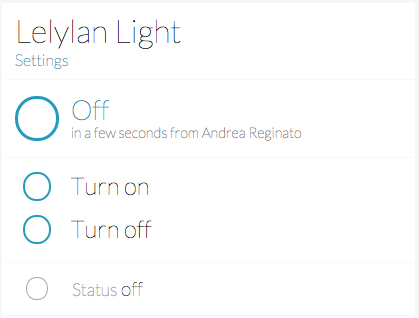 At this point we can fire the request and let Lelylan know the current light status (on or off). 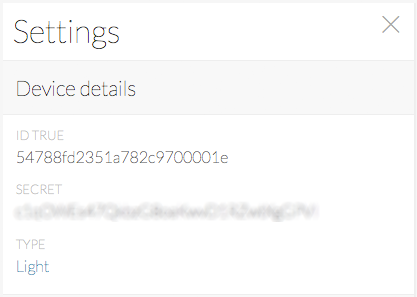 To receive the requests from Lelylan the Agent must declare a unique handler for incoming requests. In this tutorial we defined the lelylanUpdate function. When, interacting with the Dashboard (or APIs) Lelylan sends a PUT request with the properties you want to change to the physical world (see Makers Api). The lelylanUpdate function checks for the X-Physical-Secret header in order to avoid unauthorized requests and sends an update event to the Device Entity with the desired light status in order to physically turn the light on or off. Once the led status is updated, a confirmation message must to be sent back to Lelylan to confirm that the physical changes were successfully applied (if not, the device will keep being pending). Here we define the pins used to connect the led and the button. 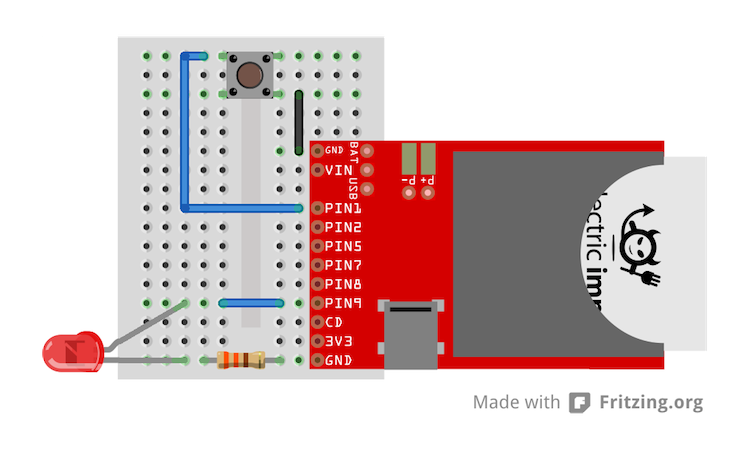 If you have followed the Fritzing diagram you don't have to change anything. If you used different pins, remember to change these values. Here we define the variables you need to make the physical button work correctly with the led. We use the pushbutton as a switch. Each time you press the button the led is turned on or off. To make it work we need to add a debounce, otherwise everytime you press the button a single press would be recognized as multiple press. Once the push button is pressed (the led status changes) we publish a message to Lelylan to confirm the updated led status. When communicating with Lelylan we use a fixed JSON structure. For this basic example we defined first a Squirrel object which later will be JSON encoded by the Agent. Remember that every message exchanged with Lelylan is made up by a list of properties where each of them contains a property ID and a property value. For the type "basic light" we have the status property with ID 518be5a700045e1521000001 accepting the values on and off.